BuyOpenDelta - allowed error value of neural network signal in % for opening a deal for BUY. BuyOpenDelta - allowed error value of neural network signal in % for opening a deal for SELL. 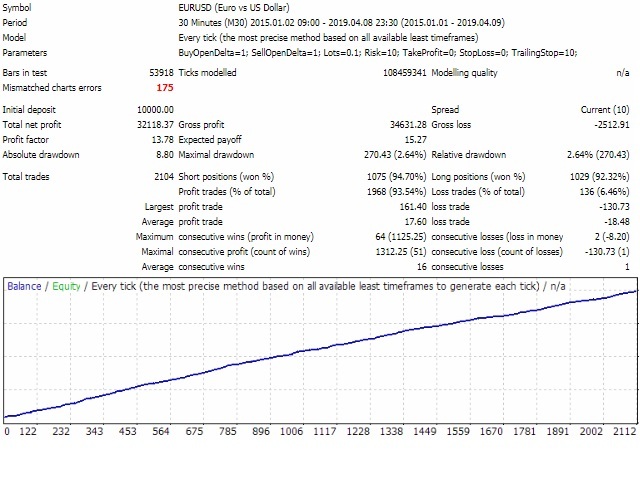 Risk - percent of the current balance to count lots for trading (Lots = 0 must be). TakeProfit,StopLoss - the Take Profit and Stop Loss parameters. TrailingStop - the breakeven function, "0" - disabled. 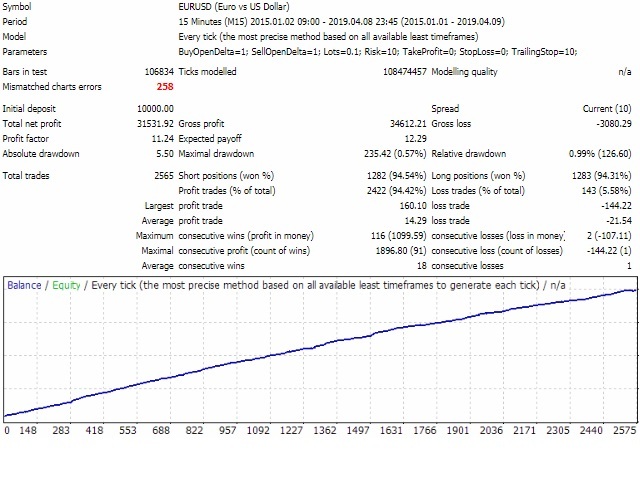 The most effective trading using neural network indicators can be in case the neural networks are trained using the quotes from the servers and account types, that will be used for automated trading. A complete set of tools for creating and training neural network indicators and Expert Advisors are available in the Hlaiman EA Generator pack. Read more about the possibilities of Hlaiman EA Generator in the user manual. Examples of indicators: for MetaTrader 4, for MetaTrader 5.